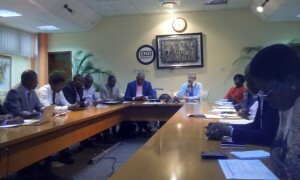 Thursday, June 16, 2016 World Bank’s workshop on the poverty and social impact analysis (PSIA) of power sector reforms in Nigeria united stakeholders in the Nigerian energy sector in a compelling discussion regarding the policy changes needed to drive equitable access to energy for the millions of citizens, averaging over 50%, who remain underserved, or without access to electricity in Nigeria. The World Bank defines PSIA as the analysis of the social and distributional impact of policy reforms on the well-being of different stakeholder groups, with particular focus on the poor and the vulnerable. Contributing more broadly to the significance of increasing the effectiveness of energy policy reforms through social inclusion and gender empowerment, SPACES FOR CHANGE’s director, Victoria Ohaeri commented on the effects fossil fuel subsidy reform could have on the proposals for improving men and women’s access to electricity services. The discussions that ensued among participants particularly after Andrew Scott and Tarilaifa Akpandara’s presentation of the Bank-commissioned research – Understanding the impact of structural changes in the energy sector: user perspectives – expanded the space to enhance research uptake, enabling SPACES FOR CHANGE to compare notes on its research methods and findings with other researchers, experts and groups undertaking research around the distributional impacts of energy sector reforms. The Bank’s Operational Policy for Development Policy Lending (OP 8.60) mandates a PSIA for country policies with likely significant poverty and social impacts. Consistent with this objective, the presentation by Ms Edda Ivan-Smith, Senior Social Development Specialist, World Bank gave deep insights into the Bank’s approach to gender and social inclusion assessments and the importance of citizen’s engagement in all of its projects. Reforms often impact men and women differently because they encounter very different opportunities and constraints, and they have different roles and needs. These are influenced, to a great extent, by cultural contexts and deeply embedded social norms, which often work to the disadvantage of women. 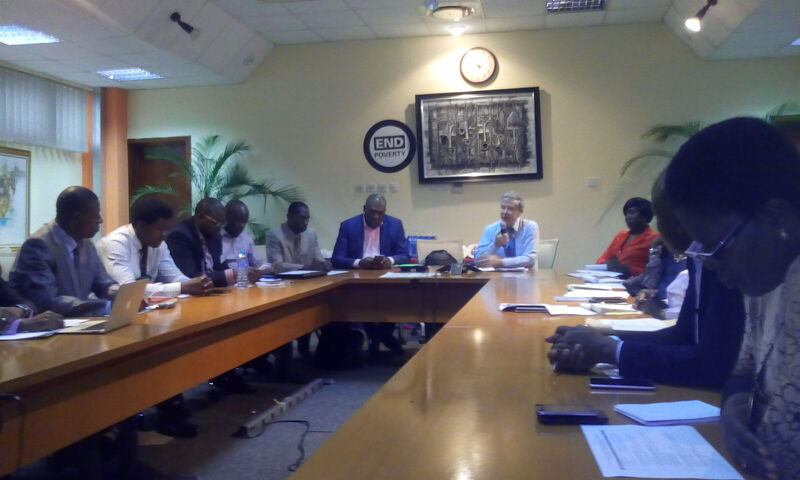 The Bank’s approaches for underpinning policy reforms with empirical evidence on expected distributional impacts on gender is particularly relevant to SPACES FOR CHANGE’s continuing research to build the evidence of correlation between access to modern energy sources and increased standard of living for women in Nigeria. Another important point considered is the mechanisms and processes that enable citizens (not only government counterparts) to have an influence on the design, delivery and monitoring of energy projects. For instance, the 2013 World Bank-supported Voz Electrica (Electric Voice) Pilot project in Dominican Republic enabled citizens to send real-time electricity service reports from any location in the country through various means, including smart phone applications, text messages (SMS) from any mobile phone, e-mail, Facebook and Twitter, or by calling a phone number set up for this purpose, even during power outages. Reporting of issues can be viewed on a map at a website. Best practices like this can be replicated in Nigeria where complaints about the quality of electricity services are rife. Developing an engagement strategy at the community, state and national level is a viable and necessary approach for expanding social and economic opportunities, and reconnecting those who are disconnected from the energy sector reform discourse. Any such engagement strategy must focus on women and rural communities who bear the greatest burden of energy poverty, and are in danger of falling behind and permanently out of the mainstream economy. The meeting brought together policy makers, civil society groups, development practitioners, researchers, local and international energy policy analysts from leading public and private institutions such as the Transmission Company of Nigeria, National Electricity Regulatory Commission, Bureau of Public Enterprise, USAID, Overseas Development Institute, UNDP, Africa Development Bank, Federal Ministry of Women Affairs and Social Development, Network of Electricity Consumers among others.